Very Confusing is a remake of Lara Crofts labyrinth in her garden in Tomb Raider 2. The hedges have all the same texture so you will get really confused when running around. The outside wall looks different though. If you like maze maps then this is really the one for you. 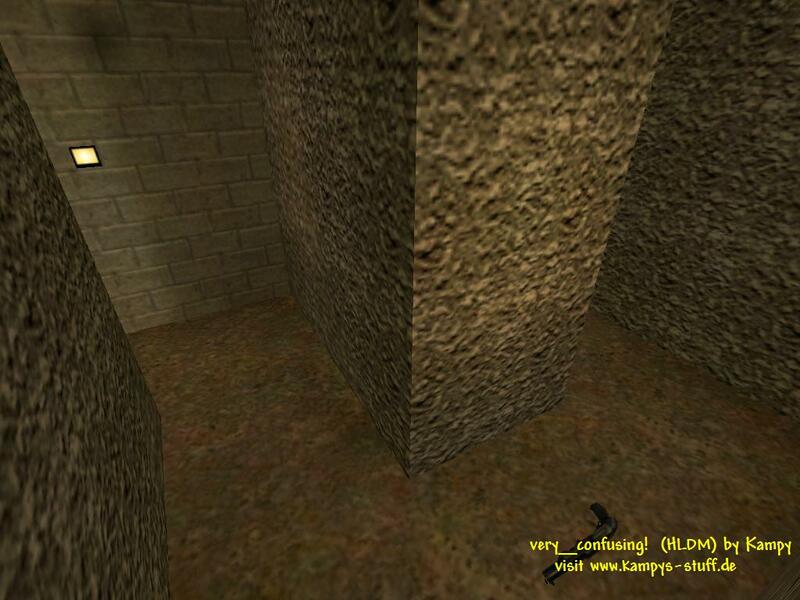 There is a certain shock effect when you play this map and run into an enemy - I remember me jumping away from the computer when I was attacked. 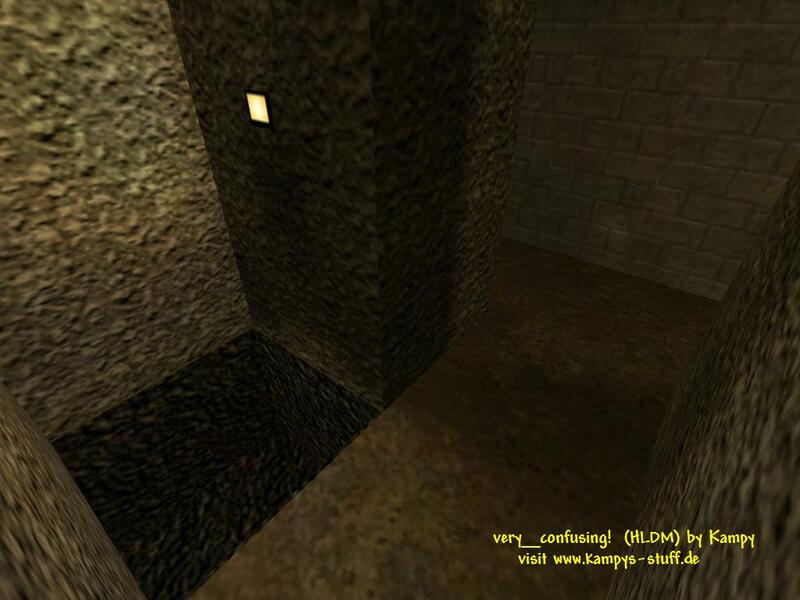 Although it's very confusing to go around it's not too big and you can play this map with three players well. There is a secret in the middle of the map - normally there are only colts and type-3 weapons and no items at all, but if you find the secret room which can be accessed through an underground corridor you get tripmines and satchels. Tomb Raider 2 fans will probably find the secret immediately cause its exactly the same as in the playstation game. The map doesnt look bad although it's very old and I was a newbie at that time the textures fit perfectly for the map theme and there are hardly and grafic errors. 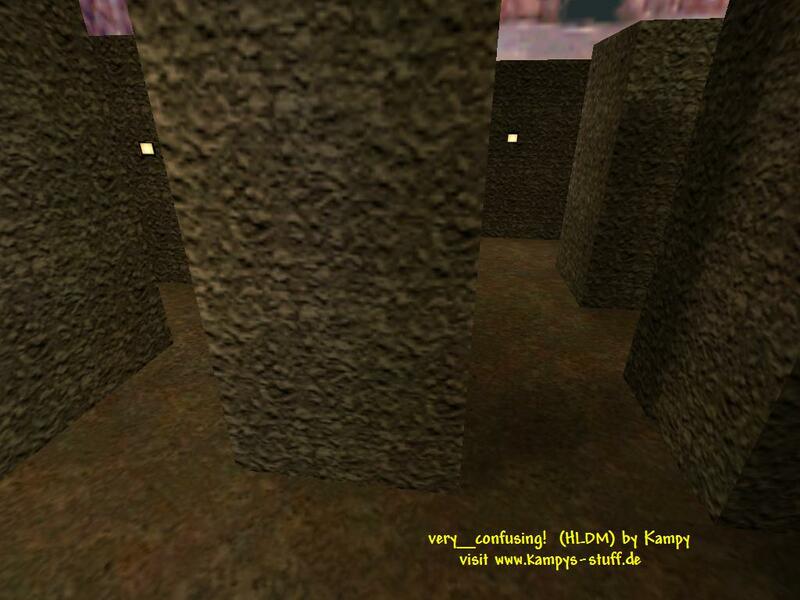 Very_Confusing is a map for all maze & fun map fans.